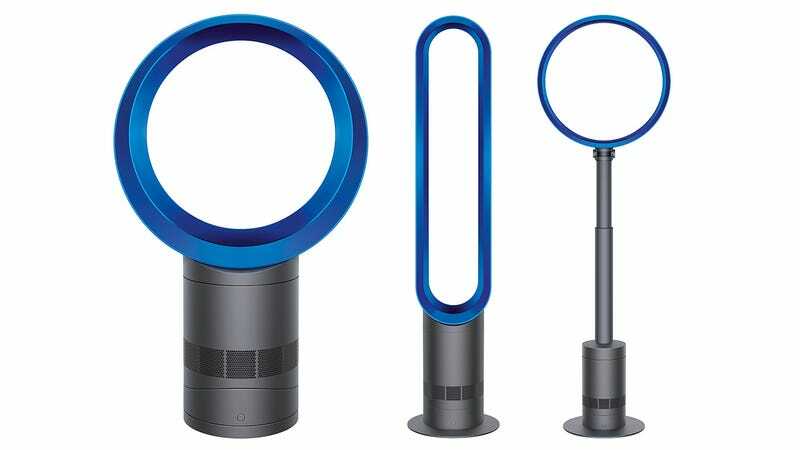 It's been over four years since Dyson introduced a fan that somehow worked without visible blades. And besides releasing a few new models over the years, the company hasn't announced any major updates to its Air Multiplier line since 2009. But it turns out that's because Dyson's engineers were finding clever ways to make these fans even quieter—up to 75 percent quieter to be exact—on three new models being rolled out today. The secret to making an already impressively quiet fan even quieter, without sacrificing airflow, was to reduce the turbulence of the high-speed air by creating a larger space inside the base. Dyson also reduced airflow obstructions throughout the fan which meant they could switch to a lower-power and quieter motor without reducing the fan's performance. And anyone who's ever suffered through a sleepless night while camping because of the sound of incessant mosquitoes buzzing around their head will be ecstatic to hear that Dyson has even found a way to eliminate the high-pitched 1,000Hz tones produced by the new Dyson Cool fans.